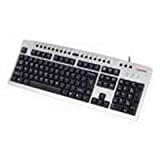 Get all the power you expect out of a desktop PC with the Compaq Presario R3160US laptop. Road warriors will appreciate its 60 GB hard drive for storing important documents and productivity applications, as well as its built-in 54g wireless connectivity. 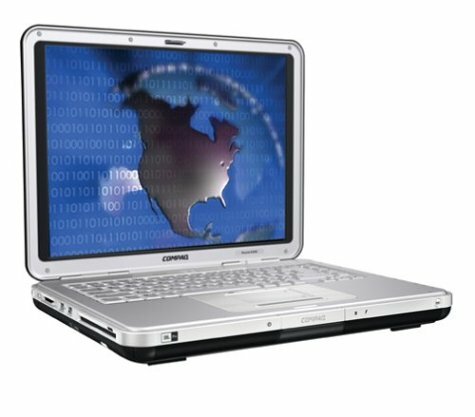 The R3160US also features a fast, 64-bit 1.8 Ghz Mobile Athlon 3000+ processor, a DVD+RW/CD-RW combo drive, 512 MB of installed RAM, a huge 80 GB hard drive, and a 15.4-inch widescreen display that's powered by Nvidia's GeForce4 420 Go video/graphics card with 32 MB of dedicated memory. Hard Drive: The spacious 80 GB hard drive (4200 RPM) is at the very top of the range for notebook storage, and it offers more than enough capacity for both your work and home files as well as a good-sized multimedia library. Processor: The 1.6 GHz AMD Athlon 64 3200+ processor offers a high level of performance that's equivalent to a 3.0 GHz Intel Pentium 4 processor--speedy enough for PC gaming, graphic design software, and multimedia creation. And with its 64-bit architecture, the R3160US is built for the increased demands of future software applications that take advantage of this architecture. It also features a 1 MB L2 cache. Memory: The R3160US comes with a 512 MB built-in memory (2 x 256 MB modules, DDR SDRAM, 333 MHz)--a good start for power users. However, only one slot is accessible for upgrading; it has a maximum RAM capacity of 1280 MB (1 x 256 MB, 1 x 1024 MB). 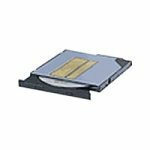 CD/DVD Drive: It is equipped with a combo drive that is capable of reading and writing of both DVDs and CDs. It uses the DVD+RW format, one of two formats for rewriteable DVDs. Keyboard & Mouse: This notebook PC has a 101-key keyboard and touchpad with on/off button and dedicated vertical scroll up/down pad. The R3160US includes Nvidia's GeForce4 420 Go video/graphics card, which produces good 3-D and DVD playback performance, helps save on battery life, and can drive an external monitro. It also features 32 MB of dedicated video RAM. The 15.4-inch flat-panel screen has a 1280 x 800 native resolution. The audio card is integrated into the notebook's circuitry, which helps save on cost. The R3160US features two built-in JBL Pro Performance stereo speakers. It also has an integrated 802.11g wireless LAN (which is compatible with the more widespread 802.11b and offers faster data transmission rates), integrated 56K modem (V.92), and an RJ-45 LAN network port (for a 10/100 Ethernet connection to networks and DSL/cable modems). The R3160US comes with the Windows XP Home Edition operating system, and it also features Microsoft Works (for working with word processing and spreadsheet documents). Other preloaded software includes Norton Antivirus 2003 (with 60 days of complimentary live updates), Quicken, Microsoft Money, Microsoft Encarta Online Deluxe, Adobe Acrobat Reader, InterVideo WinDVD SE (for playing DVD movies) and WinDVD Creator, and MusicMatch Jukebox. Measuring 11.18 x 14.25 x 1.8 inches (L x W x H), it's not the thinnest notebook available. It weighs a moderate 7.8 pounds. 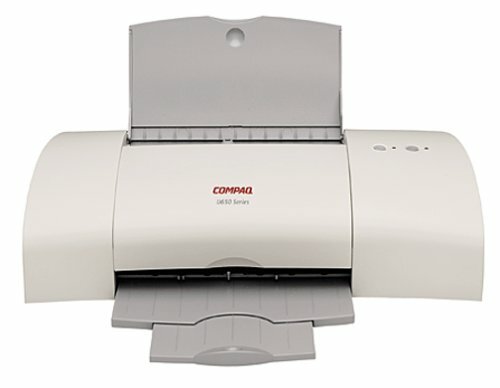 Ideal for small business and home use, the Compaq 600 color ink-jet printer provides professional-quality desktop printing. This remarkably fast little printer produces sharp letters, reports, and photo-quality prints. Handling up to 100 pages of input and 50 pages of output, the IJ600 color printer is a practical companion for your desktop or laptop computer. With the IJ600, documents print at a crisp 1,200 x 1,200 dpi resolution for sharp text and vibrant photos. 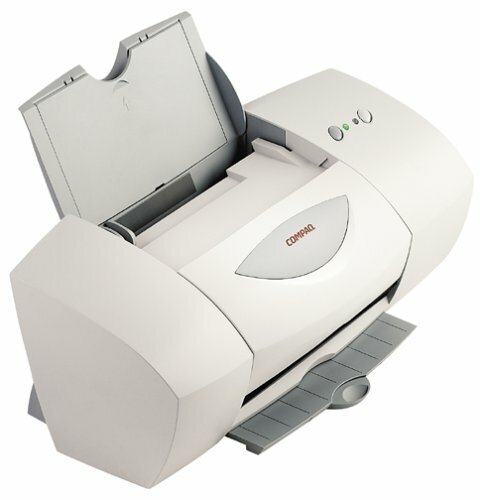 The IJ600 manages a variety of papers, including plain and special papers, as well as envelopes, transparencies, and banners, all at a speedy 7.5 ppm for black and 3.5 ppm for color. Compaq's Image Color Matching technology provides accurate color, so what you see on your computer screen is what you get on your printed page. I have used this printer for about 1 1/2 years. I t has just completely shut off and will no longer work. It is a great printer if you only want to print e-mails or print text for school reports. I tried to get my money's worth and use it for photos, cd covers and labels, greeting cards, and transparencies. They printed and were usable, but there were lines in the color. The quality is not as good as other printers that I have used for the same projects. The transparencies and photos were the worse. If you tried to copy form a scanner, everything was blurred. This is a good cheap printer if your looking to print mostly text, but the color photos don't come out well at all. I have had this printer for a little over a year, and now the printing quality is not good at all. There are new cartridges in there, but the work it prints is not acceptable at all. 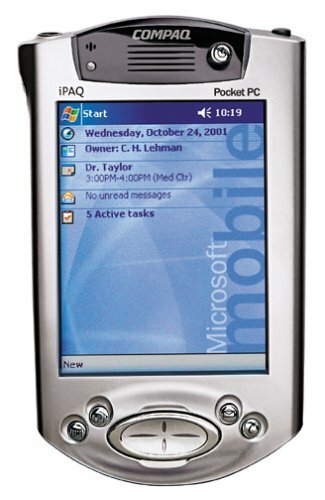 The new iPAQ 3970 is simply awesome. (It is the same device which is sold in some markets as the 3975.) I recently upgraded from my trusted old Palm Vx to an iPAQ 3970 -- and -- I am so glad that I did. I did consider the new Palm Tungsten; but overall, the 3970 blows the Tungsten away. I bought my iPAQ with a Panasonic 256 MB SD card. (Bought the iPAQ + SD card for US$ 750 in Singapore). First the +ve's. Great screen - nothing like what you get to see on the Tungsten or the other reflective TFT screens (the trans-reflective screen is simply awesome). Second, great memory expandibility. I have over 4 hrs of high quality (112 bitrate) MP3 music on the SD card. User interface is much better than the Palm. Sync with Outlook/PC is effortless. Ability to manage files & folders on the iPAQ using the Windows Explorer on my laptop. Legendary Compaq quality. Good audio. We used to have a HP printer and it was a piece of junk. This printer is incredible!!! It prints beautiful clear pictures and the color is very vivid. It prints black ink very quickly but color images take a little longer. The color pictures are definately worth the wait though. It's a fabulous printer!!!! My husband and I love it! We will NEVER buy HP again! The only reason I even tried this printer is because it came bundled with the new Presario I got preloaded with XP. XP of course wanted nothing to do with the printer, and even when I did finally get everything working, I found that the image quality is noticeably poorer than my trusty old Cannon. And, as long as we're at it, it's slow... the purported 5 page per minute speed is pure fantasy if you're printing anything other than straight text. Don't expect it to work with xp home edition. 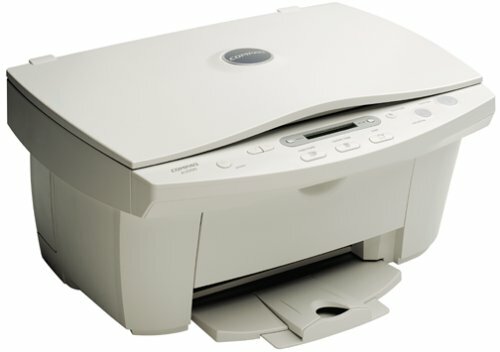 This printer was shipped with a Compaq desktop and monitor with xp home edition. I bought a set so they would work well together. Wrong! I have worked for three days and the printer still will not install right. Goes in as a foreign language and the driver appears not to work with xp. All the support help has not fixed it so far. Compaq should not send sets with xp together when they will not work. The printer is very flimsy and cheaply built. I may never know how it prints. Stick th HP. No value for the money spent! I had to buy this printer recently from a local Radio Shack only as a stop gap for a printer that I had used for two years that finally failed on me (IJ 750) because there weren't any other models available from Compaq. 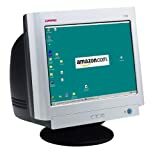 I wanted to purchase another IJ 750 but I couldn't find this model available for purchase anywhere online including Compaq.com. I guess they discontinued this particular model. The IJ 650 prints fine but my color cartridge ran out too quickly. Both the black and color cartridges are small and you can bet you will have to buy another pair before you realize it. I have no problems with the print quality this machine produces because you can manually change from 600 d.p.i to 1200 d.p.i. I wouldn't recommend this however because you will run out of ink much more quickly. The default setting is set at 600 d.p.i. and this adequate for most types of print jobs. My qualms with this model is that it does not handle printing labels as well as my old IJ 750 and I would recommend that you don't try this with the IJ 650 because the labels sheets will become lodged while printing and you will waste those labes not to mention the ink. Moreover, the IJ 650 does not notify you when you are running low on ink. You will have to determine that manually by accessing the printer settings via the Control Panel. My old IJ 750 would let me see the levels of ink while a print job was in progress. The cartridges for the IJ 750 were alot larger and I didn't have to replace them as frequently as the IJ 650. However, both of these printers let you check on ink levels through the printer properties via the Control Panel. In summary, don't buy this printer unless you don't print many envelopes and labels-they will jam and/or print a bit slanted and not parallel to the edges. It's quality is above average in its 600 d.p.i. default setting. I wouldn't recommend for small home offices. COMPATIBLE not only XP ,but with 2003 server! This machine compatible not only with XP,but with the latest one( 2003 server),if you get problem with it,just make sure slowly follow the instruction of the cd driver,then you will get them all. My Family enjoys the speed and versatility of the A3000. I see other customers have complained about the scanner, but I has been a life saver for us. It can scan textbook pages as images or into Character recognition software for easy implementation into Word processors. Scanned images are saved to a folder you specify as jpeg format images. (You do have to run the A3000 utlity or ABBY when scanning - others may not have known this). It prints faster and quieter than our HP890 inkjet. It takes Lexmark ink cartridges, which are widely available. The A3000 footprint is small and fits on a roller shelf under my desk. HP does have a download site for the driver, but has limited support since they bought Compaq and the printer doesnt use HP cartridges. But this was a well designed product and after nearly 2 years of service we use it almost daily and it still works and acts like new. I bought this Compaq A3000 at a local store and ever since I got it the printer and copier work fine but the scanner does not work and hasn't work since I got it. I think they gave me the wrong disk for it. I have a new Compaq Presario 6000 Windows XP. Could please advise me what to do to get this to work. I have emailed and called the Compaq Service and still do not get it to work. All I have to say is that I have Windows XP and with the drivers from the Compaq website, the A3000 works like a charm.